Another quilted throw / cot quilt finished and listed in the shop for Wholesale, Trade and Retail - remember the price includes GST and items are shipped free within Australia! So no surprises at check-out. All quilts are pieced-fabric, no two are the same. 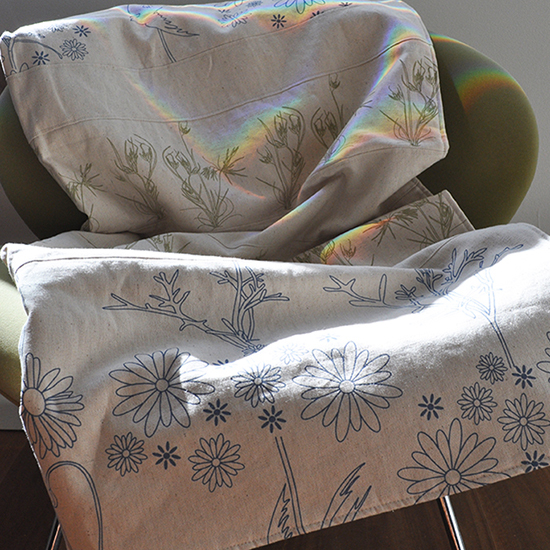 They are made from my handprinted fabrics which are on hemp / organic cotton or natural linen basecloth. They are filled with a beautifully soft bamboo / cotton blend (50/50) wadding and backed with natural seeded unbleached calico.